Player reporting in League of Legends isn’t strong on closure. 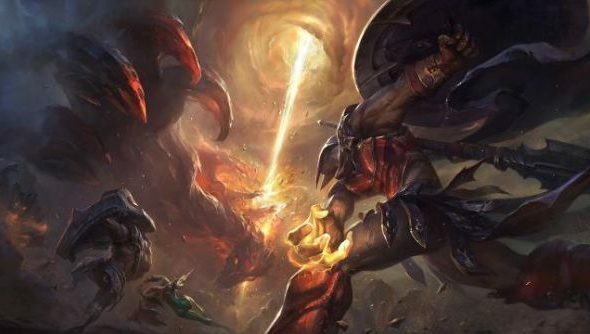 You might tell on a teammate for assisting an enemy or otherwise ruining one of the best free games on PC – but you’ll never know how it ended, and some summoners have questioned whether the reports really do bring about change in the community. For best results, Riot suggest writing a short comment when leaving a report on an offending player. The developers don’t need direct quotes – just the gist. “Comments are NOT required. Just preferred,”said the Riot staffer, who goes by the name of WookieeCookie. “[They] help provide context to what the player did. Player reporting is one component of many that help Riot decide when intervention is necessary. They look for patterns of behaviour – like a string of reports following a particular player around. WookieeCookie said the lack of feedback on reports could stand to be improved in the future – but added that Riot “keep it abstract for a reason”. “We don’t want to share a lot of information about our systems because it can give less trusting players the opportunity to try and get around it,” wrote the developer. How’s your own experience with LoL reporting been?